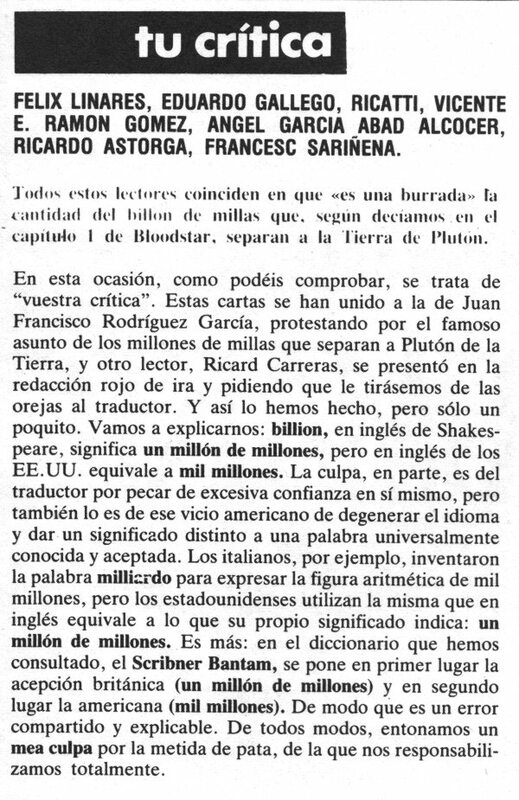 - INFINITUM CIENCIA FICCION nº1 - INTRODUCCION. 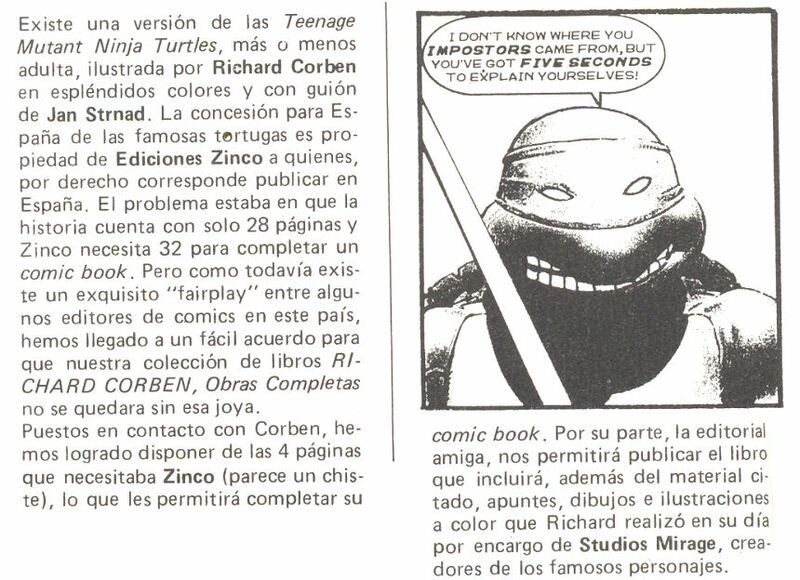 - STAR nº20 - INTRODUCCION DE LUIS VIGIL. 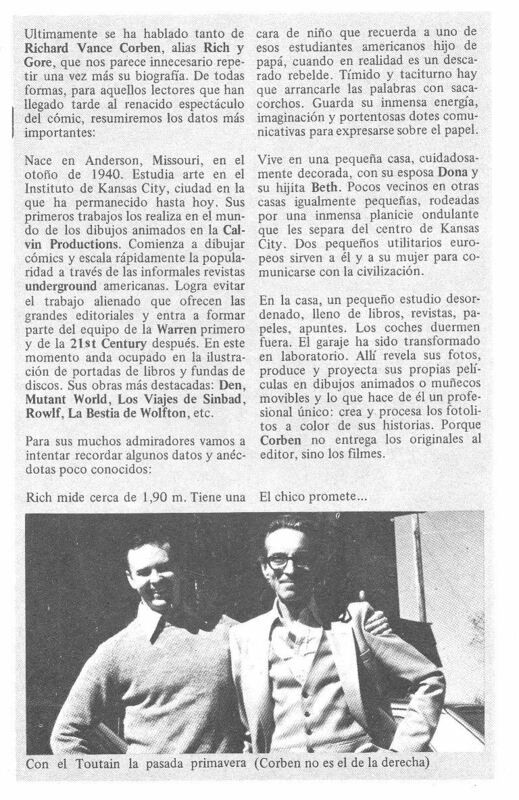 - RUFUS EXTRA 1974 - PREMIOS WARREN. - SPIRIT nº6 - WILL EISNER PRESENTA. 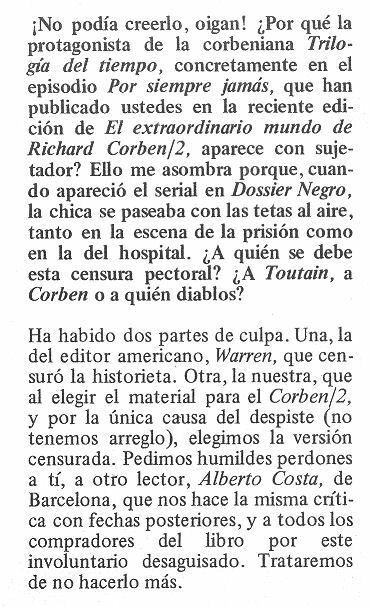 - TOTEM º7 - CORBENTOLOGIA. 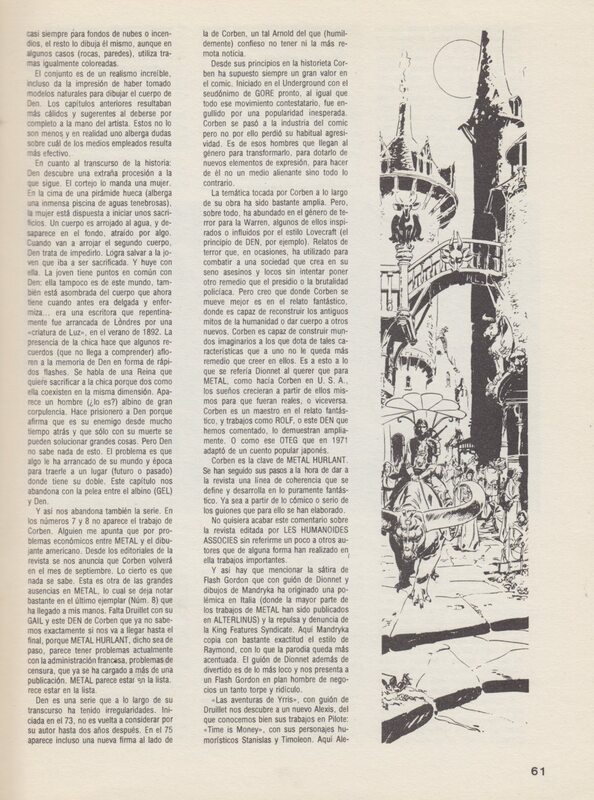 - TOTEM º15 - FANTASIA ANTI-HEROICA [ PARTE-1] [ PARTE-2] . 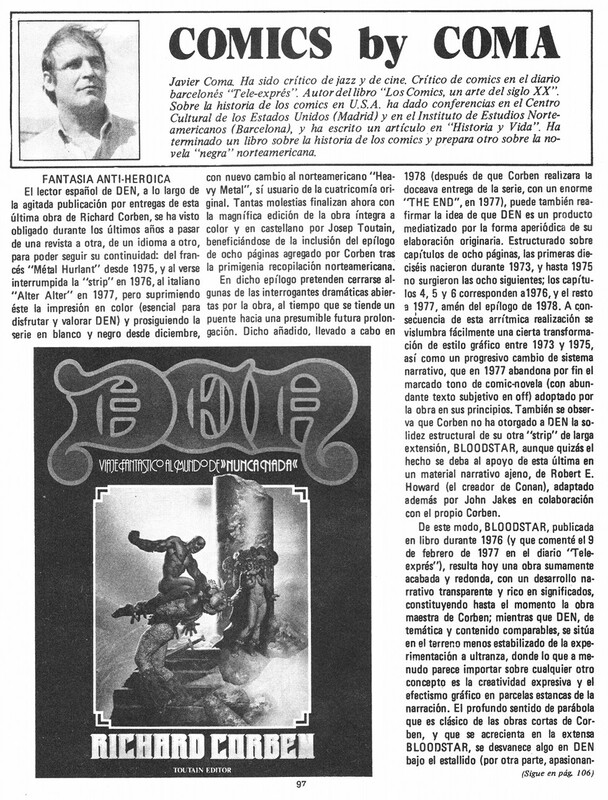 - TOTEM EXTRA nº1 - INTRODUCCION. 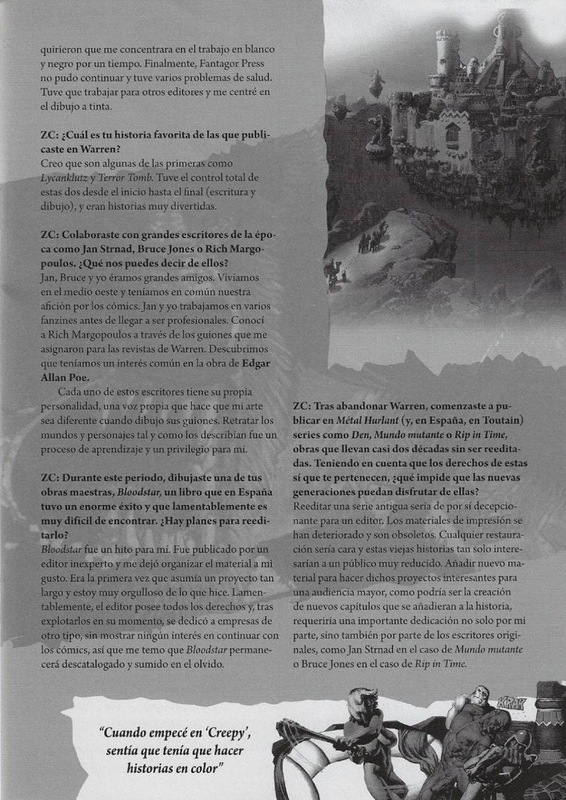 - TOTEM EXTRA nº2 - INTRODUCCION. 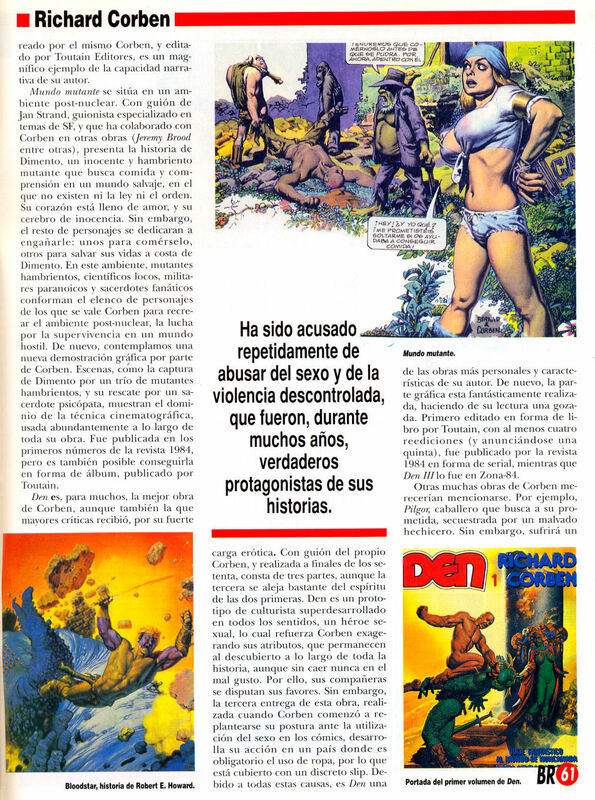 - EL WENDIGO nº19 - RICHARD CORBEN O LA SEXUALIDAD ROMANTICA [PARTE-1] [PARTE-2] [PARTE-3] [PARTE-4] [PARTE-5] [PARTE-6]. 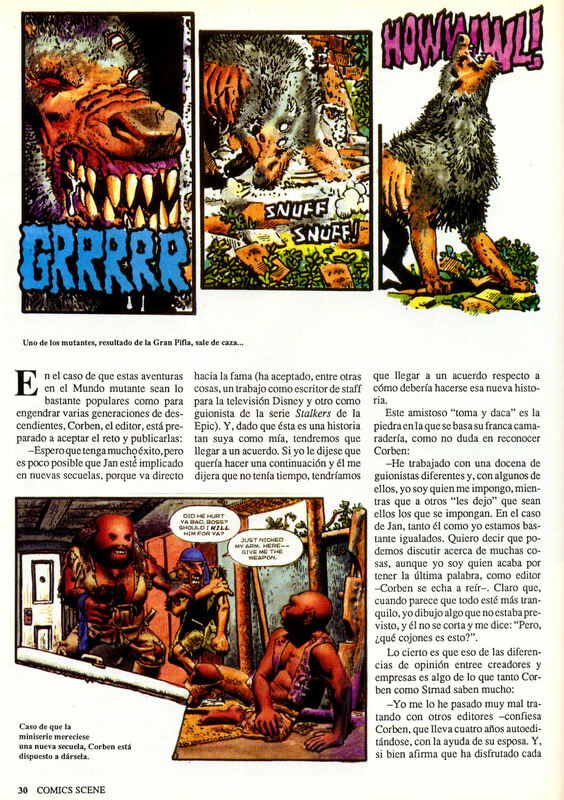 - EL WENDIGO nº64 - MUNDO MUTANTE Y LA MUTACION DE RICHARD CORBEN. 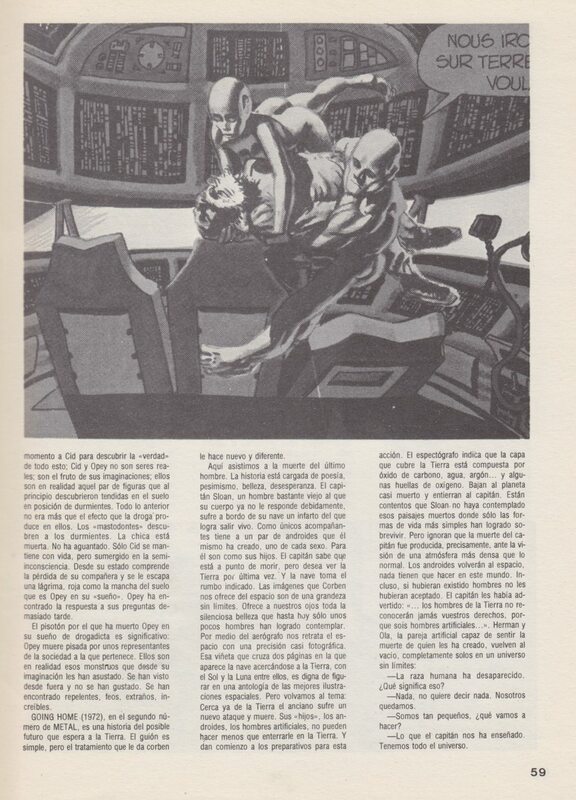 - SUNDAY nº2 - METAL HURTLANT [ PARTE-1] [ PARTE-2] [ PARTE-3] [ PARTE-4]. 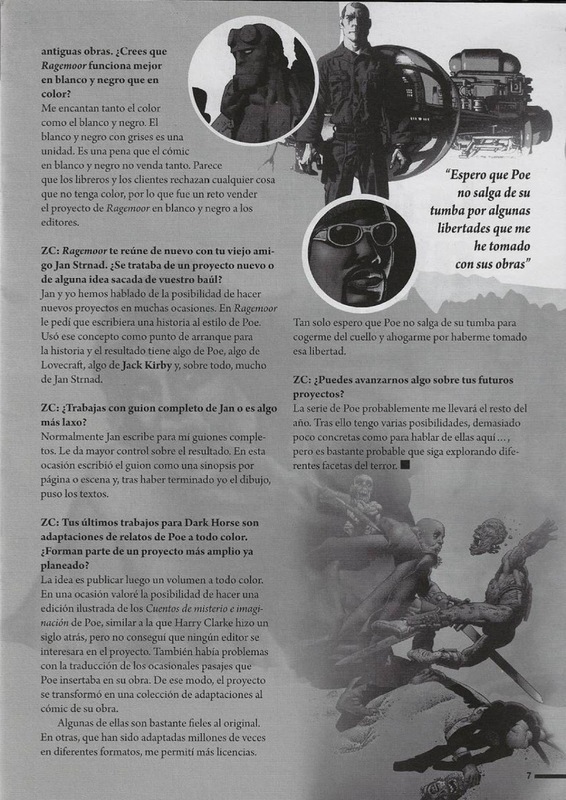 - FAN DE FANTASIA nº1 - ARTICULO [PARTE-1] [PARTE-2] [PARTE-3] [PARTE-4]. 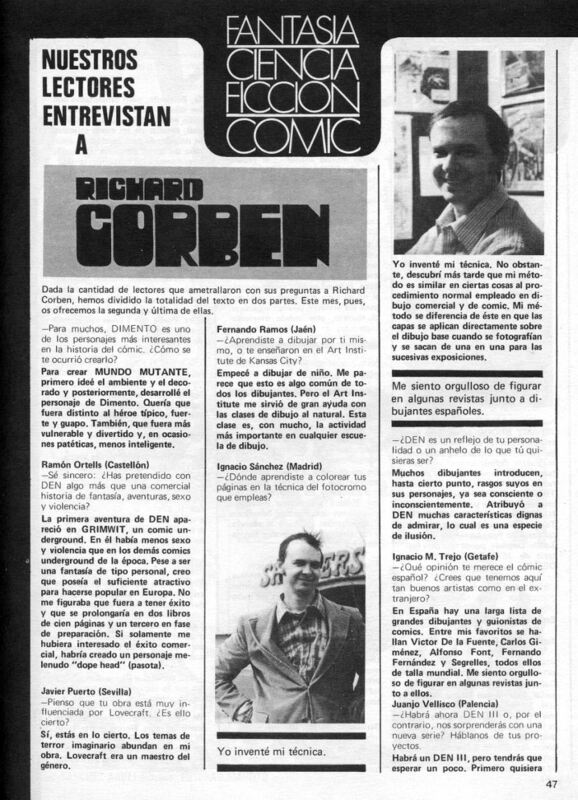 - SUPLEMENTO SALO DEL COMIC - RICHARD CORBEN EN EL PRIMER SALO DEL COMIC DE BARCELONA. 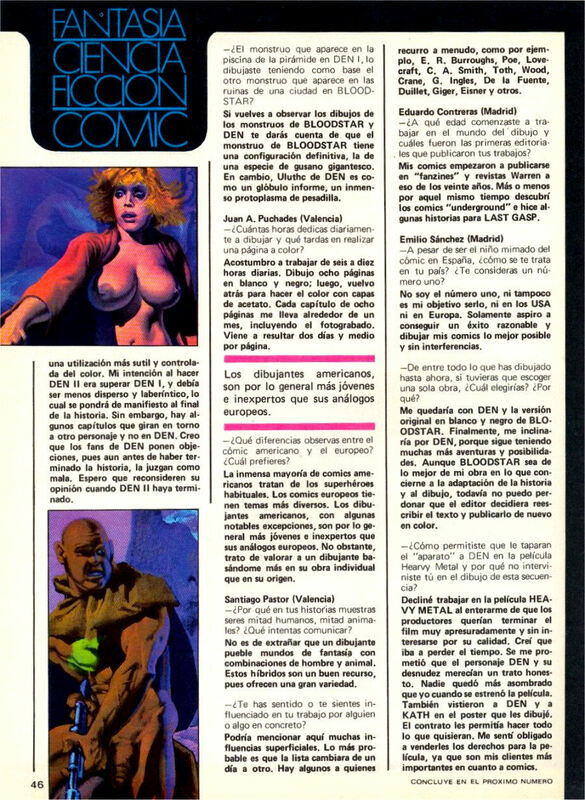 - METAL HURLANT nº2 - METAL NEWS. 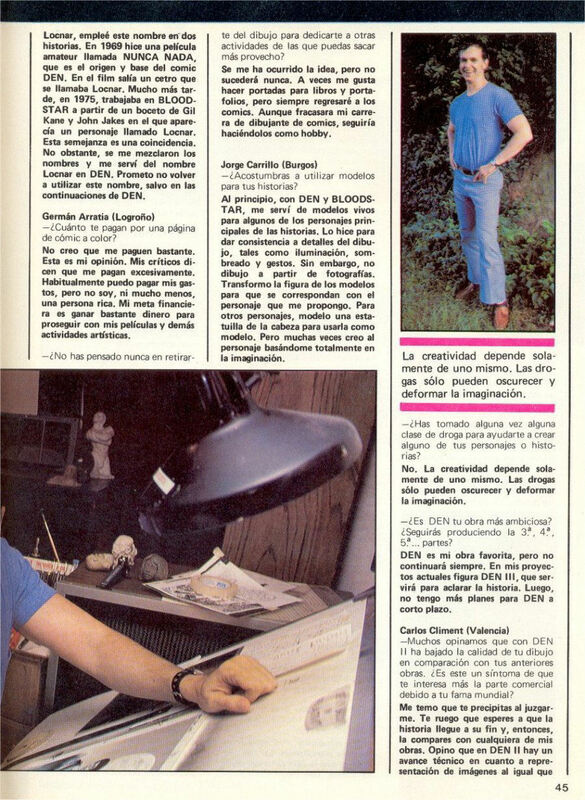 - 1984 nº2 - EPILOGO DE DEN. 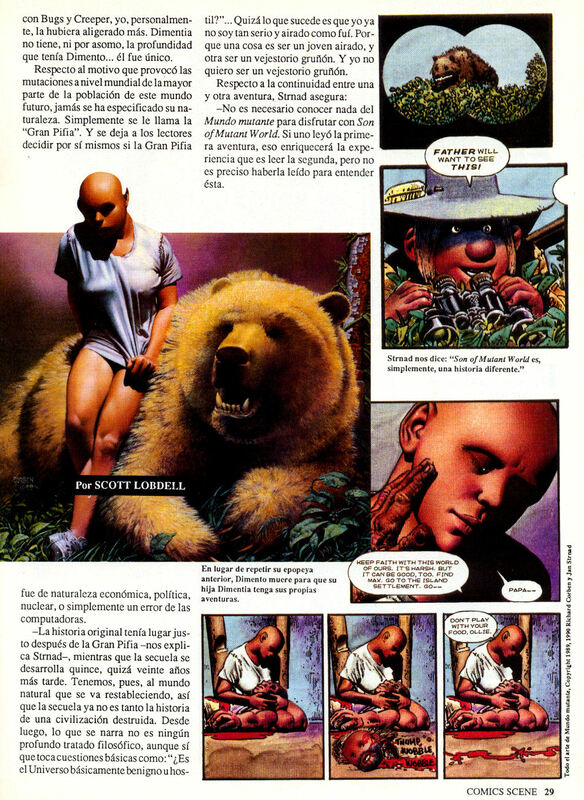 - 1984 nº6 - CORBEN DEJA DE DIBUJAR. 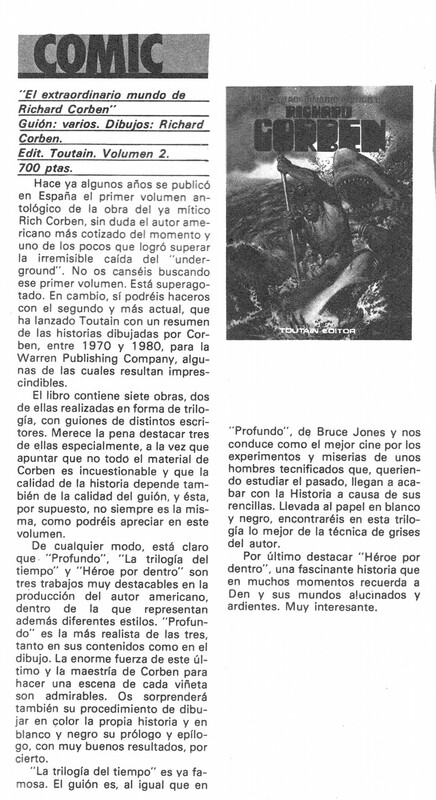 - 1984 nº20 - COURTNEY, TOUTAIN Y CORBEN. 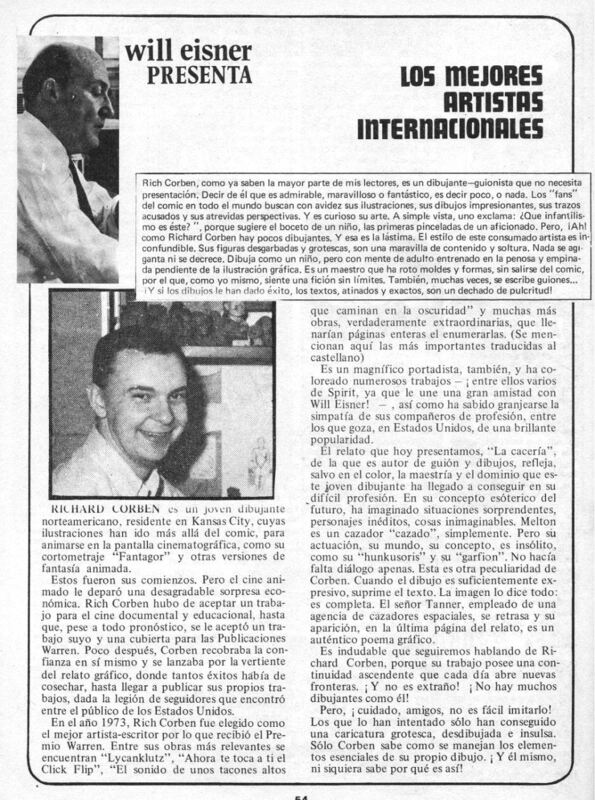 - 1984 nº31 - CINE Y RADIO. 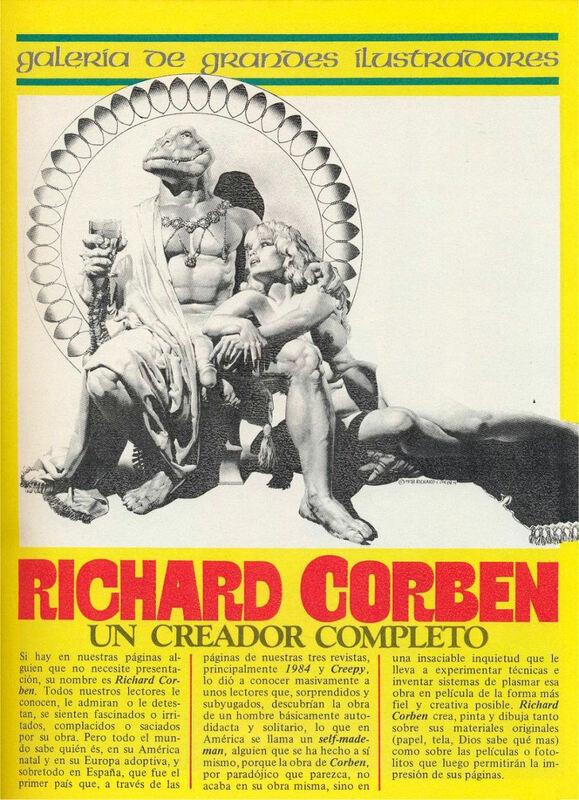 - 1984 nº39 - LA MUERTE DE CORBEN. 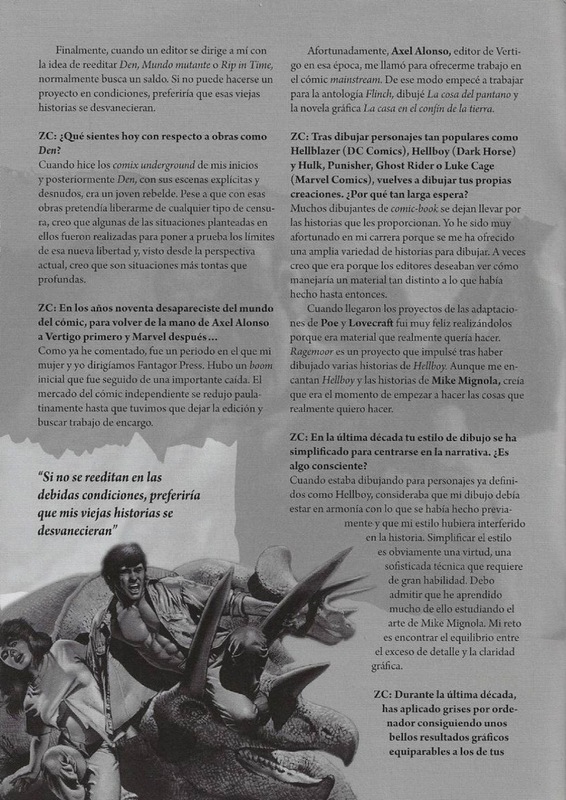 - 1984 nº46 - ENTREVISTA [ PARTE-1] [ PARTE-2] [ PARTE-3]. 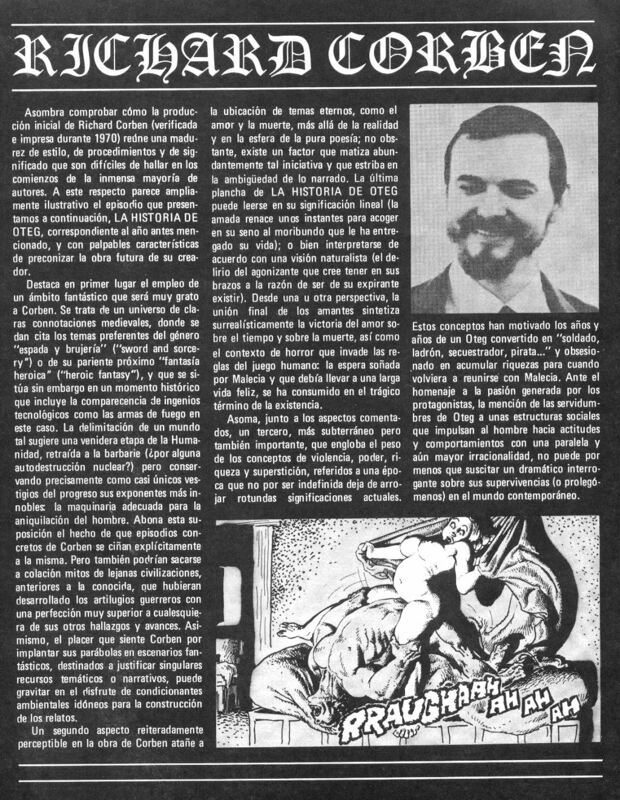 - 1984 nº47 - ENTREVISTA [ PARTE-4] [ PARTE-5]. 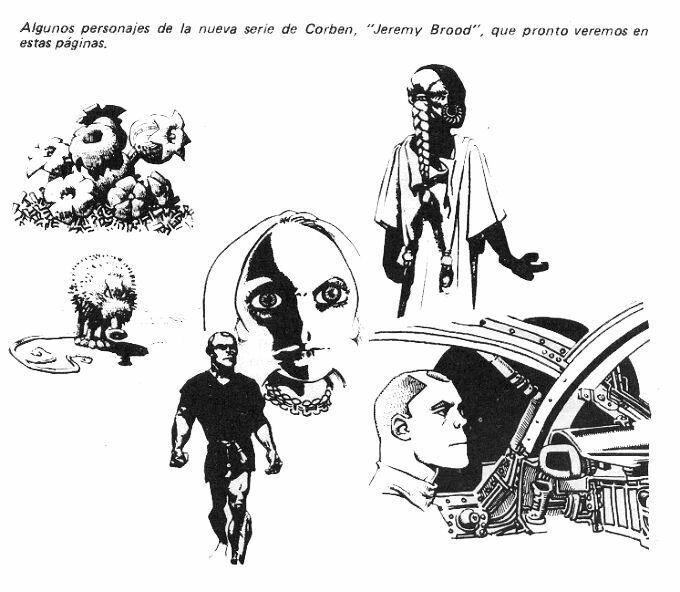 - 1984 nº47 - BOCETOS DE JEREMY BROOD. 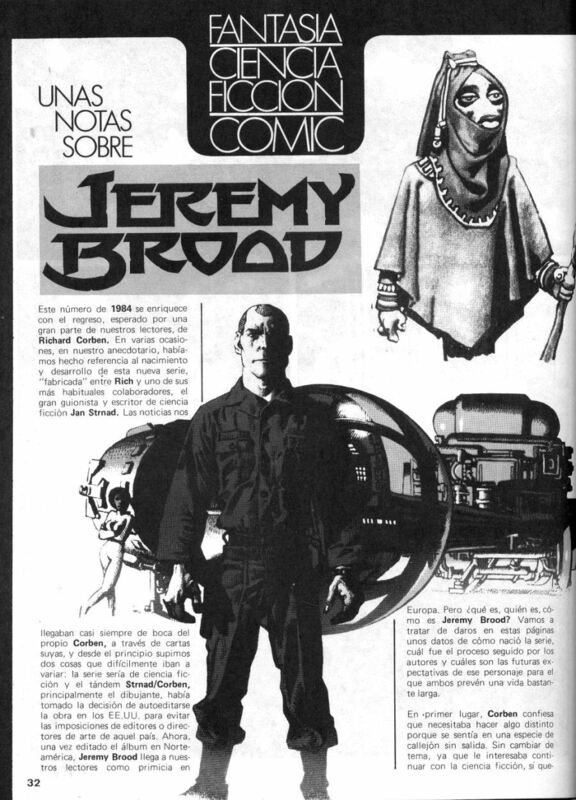 - 1984 nº51 - UNAS NOTAS SOBRE JEREMY BROOD [ PARTE-1] [ PARTE-2] [ PARTE-3]. 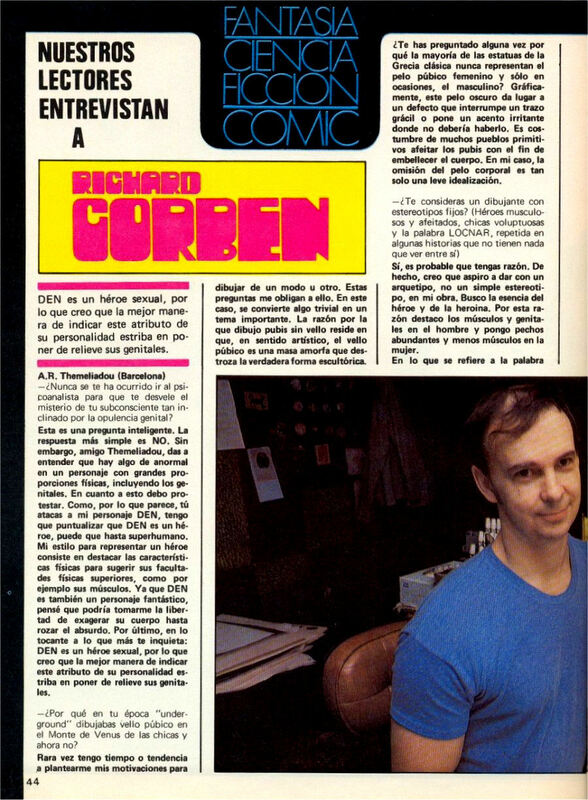 - 1984 nº 54 - ENTREVISTA STRNAD / CORBEN. 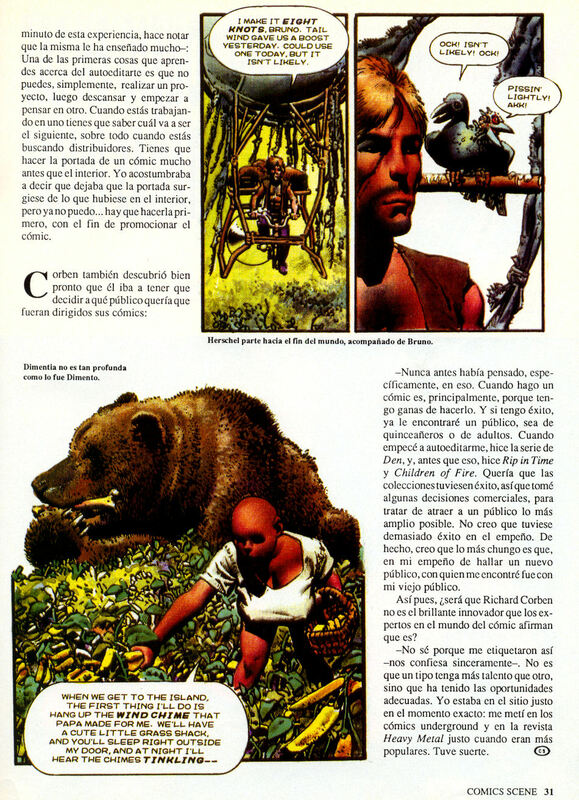 - 1984 Almanaque 1980 - EL COMIC HOY. 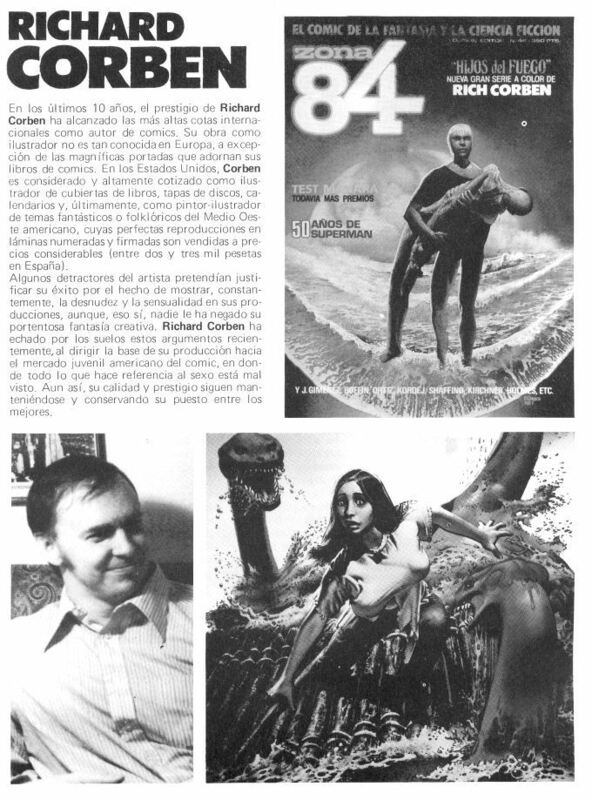 - CREEPY nº4 - ANECDOTARIO. 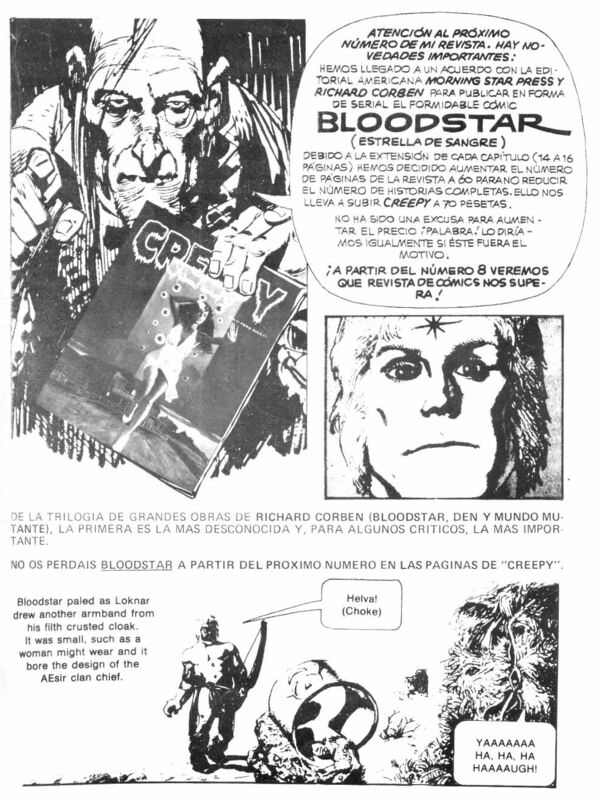 - CREEPY nº7 - PUBLICIDAD SOBRE BLOODSTAR. 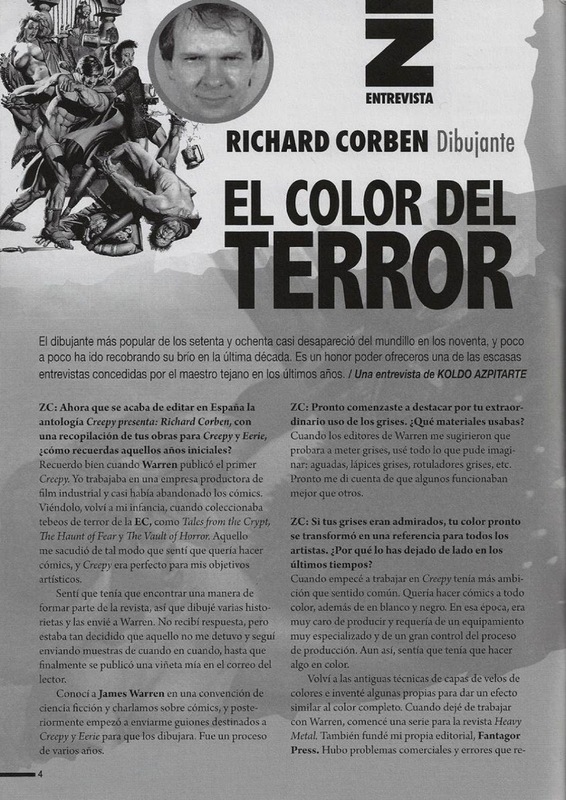 - CREEPY nº10 - COLORES EN BLOODSTAR. 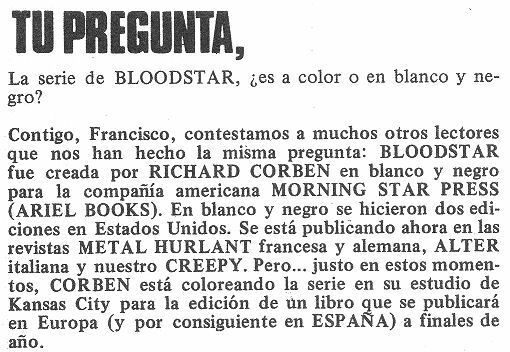 - CREEPY nº17 - ERROR DE TRADUCCIÓN EN BLOODSTAR. 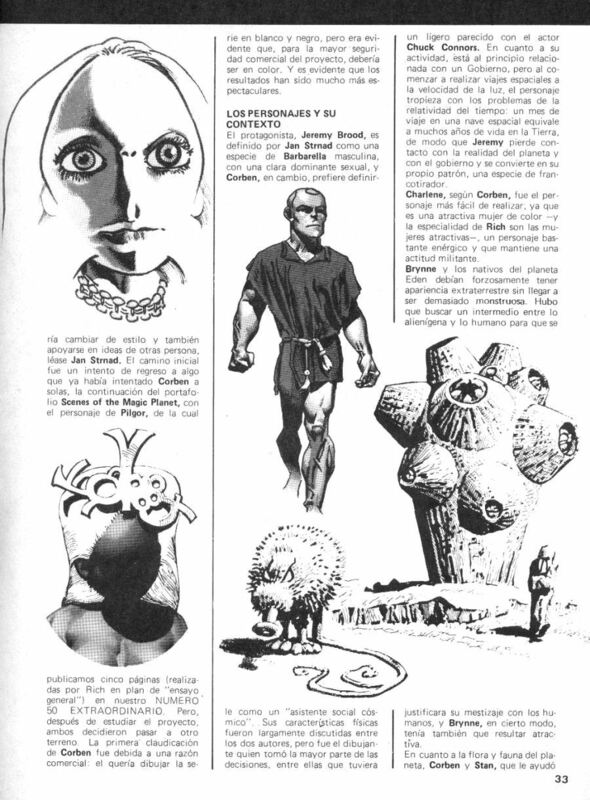 - CREEPY nº26 - CENSURA EN TRILOGIA DEL TIEMPO. 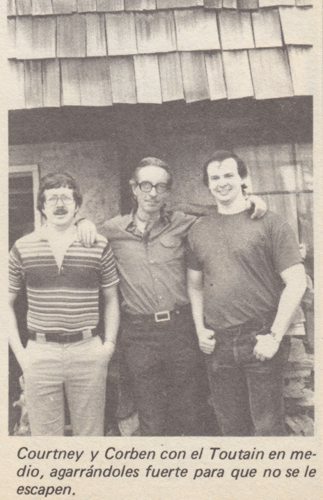 - CREEPY nº32 - HERB ARNOLD. 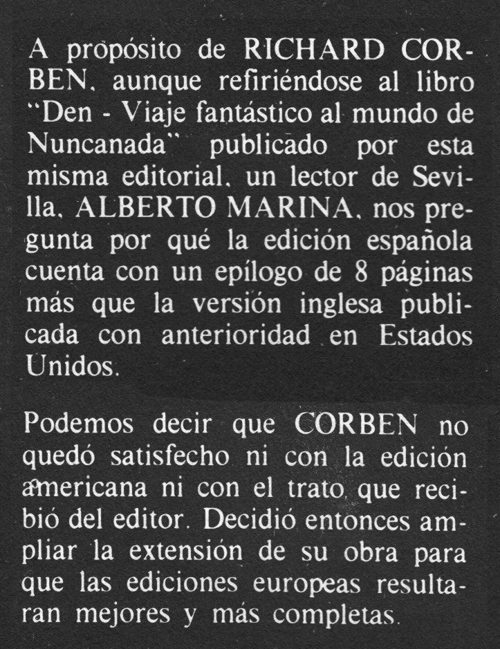 - CREEPY nº36 - TRADUCCIÓN EN BRUJERIA. 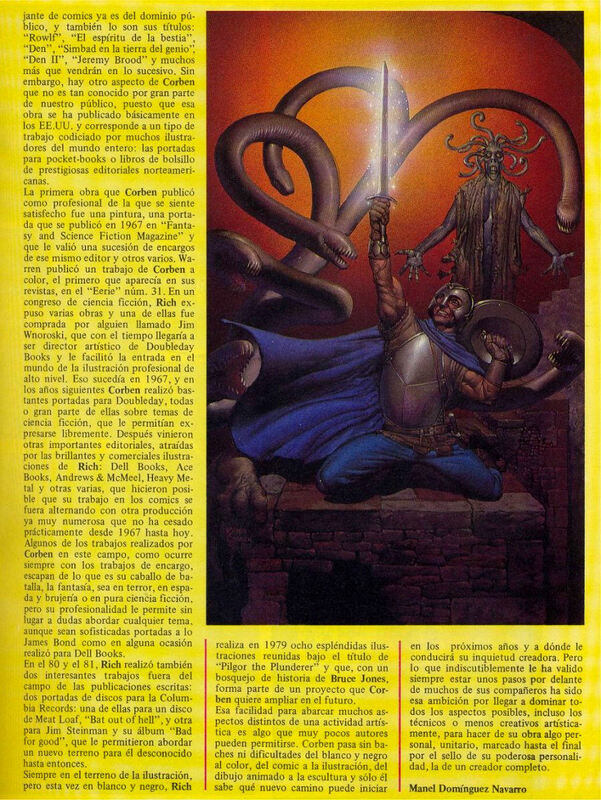 - DELTA nº35 - ARTICULO DE M. HISPANO. 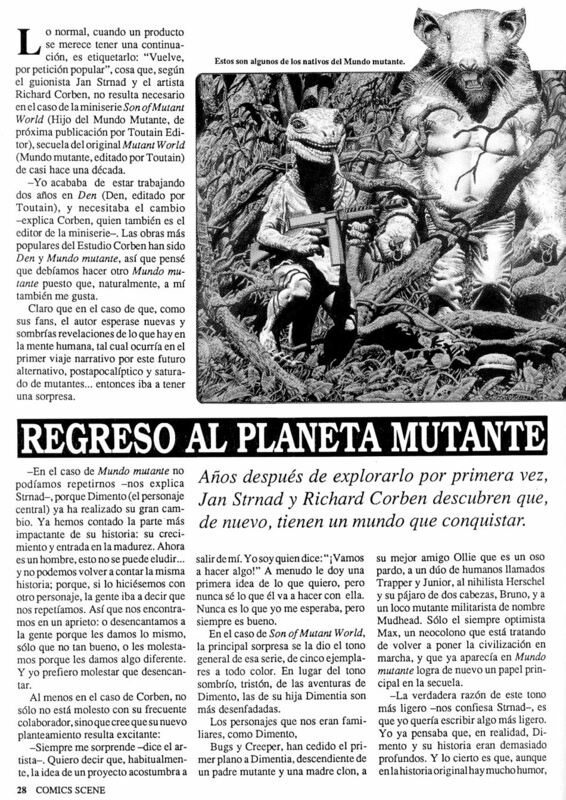 - ZONA 84 nº87 - TORTUGAS NINJA. 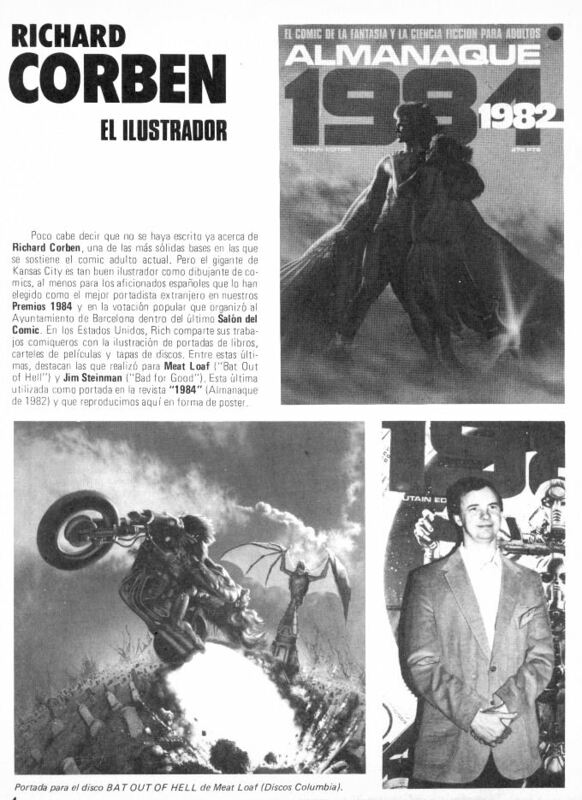 - ZONA 84 SOLO POSTERS nº1 - EL ILUSTRADOR. 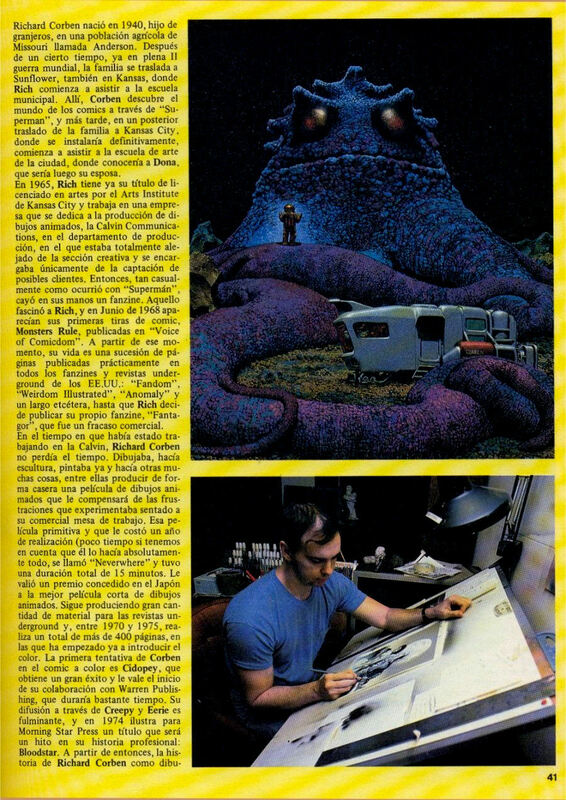 - ZONA 84 SOLO POSTERS nº2 - PRESENTACION. 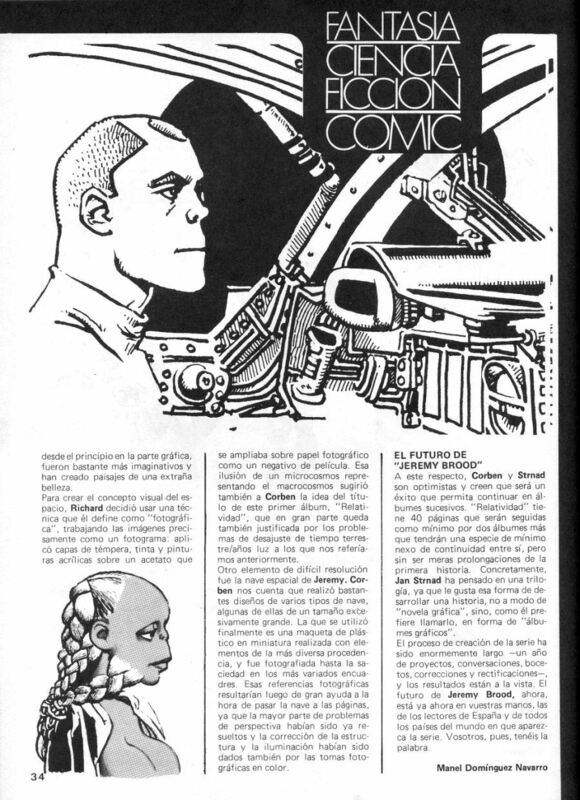 - ILUSTRACION + COMIX INTERNACIONAL nº32 - UN CREADOR COMPLETO [ PARTE-1] [ PARTE-2] [ PARTE-3]. 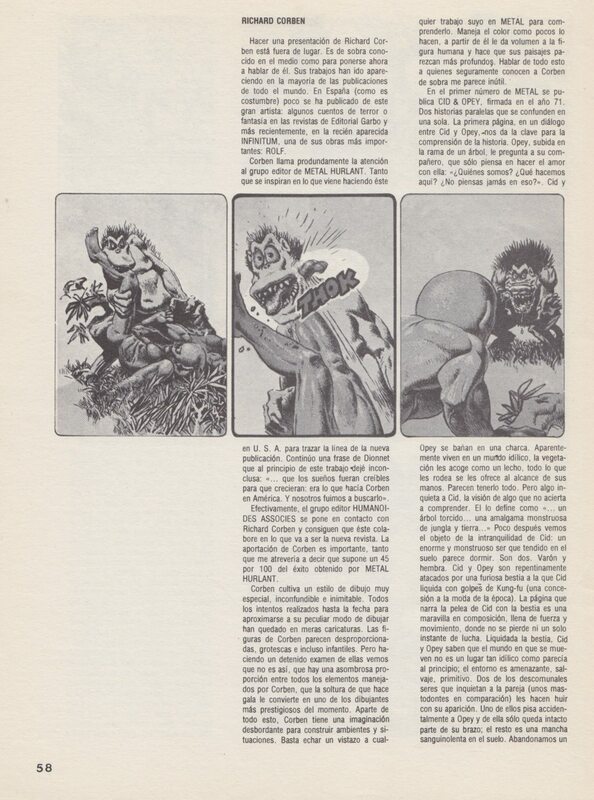 - ILUSTRACION + COMIX INTERNACIONAL nº56 - UN GRAFISTA DE RAICES FREUDIANAS. 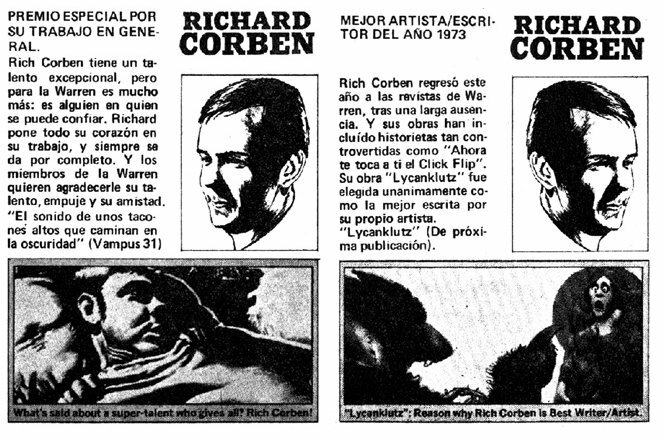 - HISTORIA DE LOS COMICS nº5 - FICHA SOBRE CORBEN. 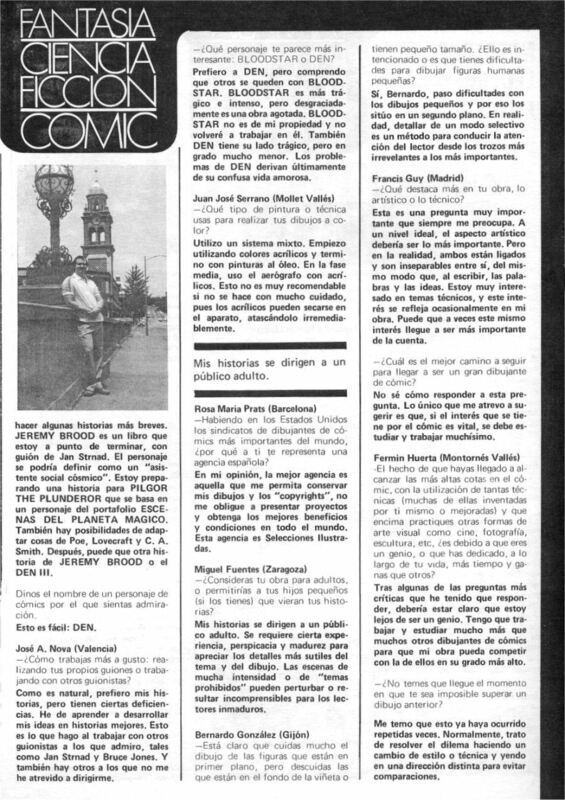 - HISTORIA DE LOS COMICS nº32 - ARTICULO. 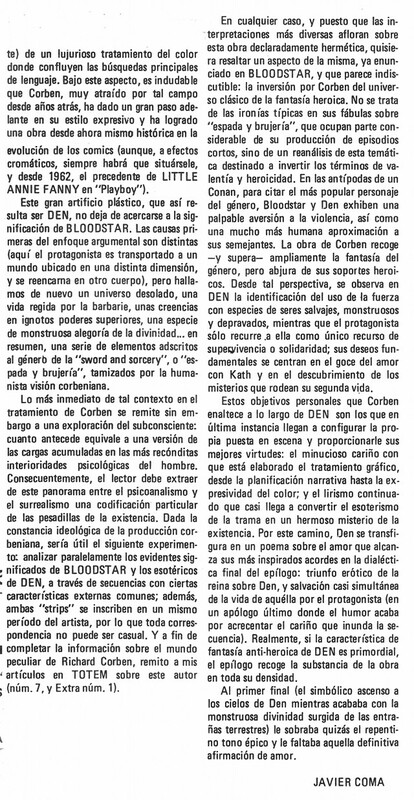 - EL TEBEO DE EL PERIODICO nº17 - BLOODSTAR. 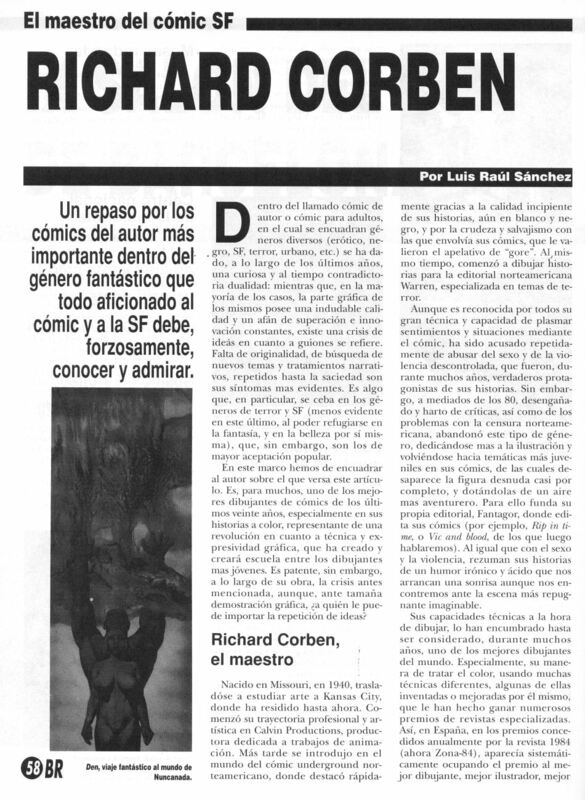 - BLADE RUNNER MAGAZINE nº8 - EL MAESTRO DEL COMIC SF [ PARTE-1] [ PARTE-2] [ PARTE-3] [ PARTE-4]. 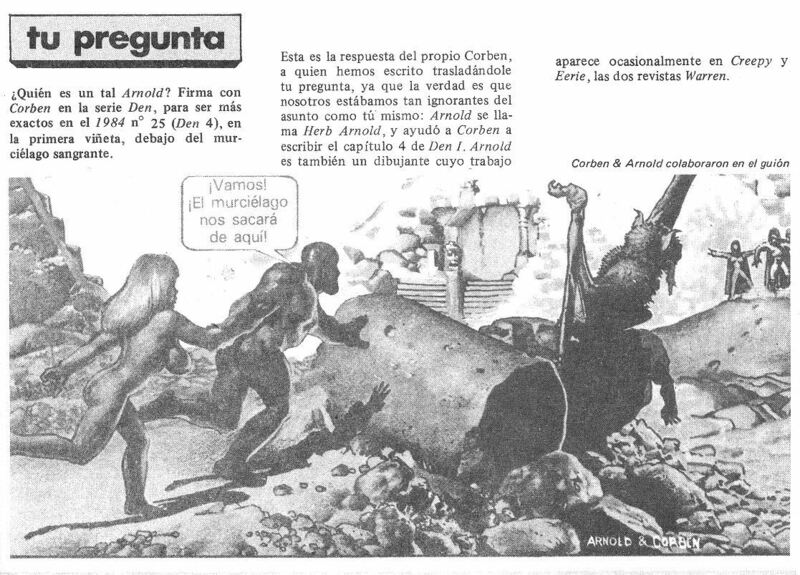 - COMICS SCENE nº1 - REGRESO AL PLANETA MUTANTE [ PARTE-1] [ PARTE-2] [ PARTE-3] [ PARTE-4]. 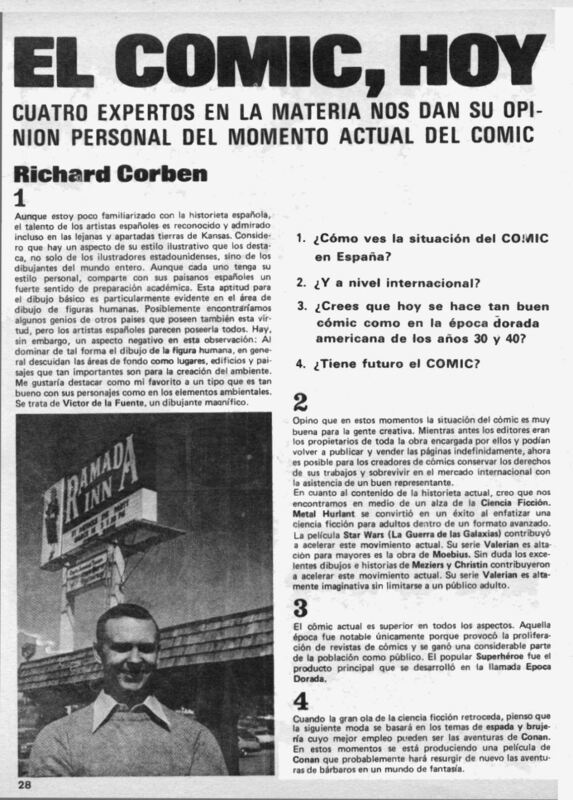 - ZONA COMIC nº4 (via El Blog de Razar) - ENTREVISTA [ PARTE-1] [ PARTE-2] [ PARTE-3] [ PARTE-4]. 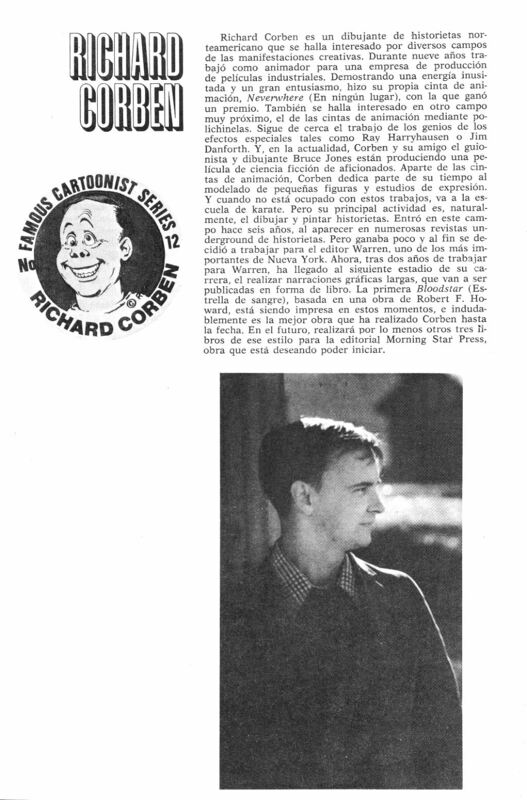 -DIBUJANTE DE COMICS 17 (CCC) (via El Blog de Razar) - MAESTROS DEL COMIC.